Smoking is a nasty habit. And up until exactly one year ago I was hooked on that nasty habit. Before my last cigarette, I took up rolling in an attempt to cut down. But it wasn’t easy. Giving up cigarettes was definitely a difficult journey, but with the help of various tools I was able to give it up for good. So what can you do to finally quit smoking? You have to be ready to quit. One of the top reasons why people don’t quit smoking is because they are not mentally prepared for it. It’s not enough to say you are going to quit, you have to really want to. For me this came after a severe cold, which along with my smoking, led me to develop a really bad cough and struggle with my breathing. I noticed it once when I was walking and talking at the same time. I was actually struggling to catch my breath! Can you believe I was only 30 years old and having trouble breathing?! That was the moment that triggered it for me once and for all. I knew after that day I had to give up. One of the hardest challenges when you are trying to quit smoking, is missing out on the social aspect of being a smoker. Ever since they made smoking indoors illegal, going “out for a smoke” became a really social thing. Whether you’re at the pub making new smoker friends or out on a coffee break with colleagues – you’re bound to have people to tempt you into having that “cheeky fag”. So get acquainted with non-smoking people. The non-smokers in your group of friends are going to be key to helping you give up for good. At work you should take the same breaks and rather than go for a smoke, go make a cup of tea and have a chat with your colleagues. Don’t be tempted by going out with your smoker friends. However, you should also not cut yourself off from smokers. Because staying away from them is not going to help you in the long run. You will find situations where you are surrounded by people smoking, and you need to have the strength to say no. Whether it’s chewing gum, patches or smoking an alternative, not having a replacement is a sure fire way to sabotage your efforts of quitting. For someone who had been smoking for a few years, I didn’t have the willpower to quit cold turkey. And to be honest, I don’t think many people do. So I recommend finding an alternative form of nicotine. The addiction to nicotine is the harder thing to give up as it’s the drug that keeps you addicted to smoking. I personally started vaping, and from the first week I was able to give up cigarettes entirely. 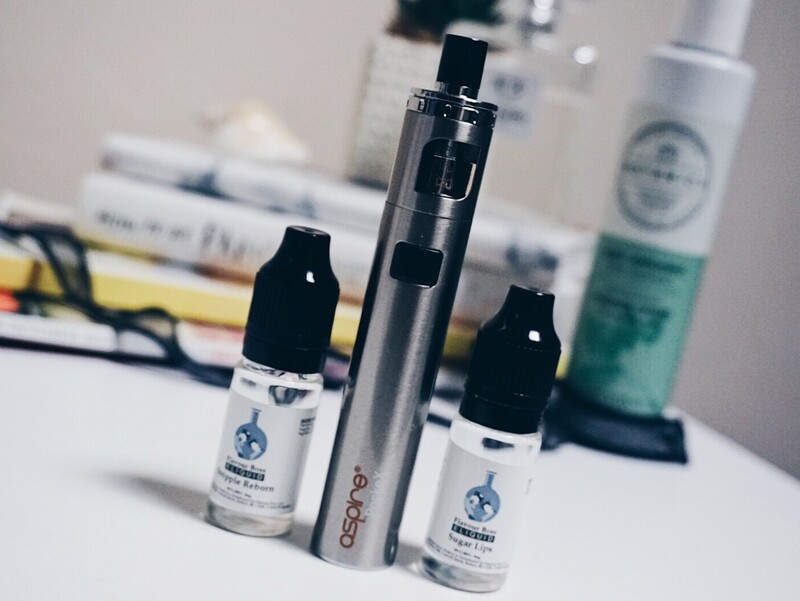 The options for vaping and vape juices are quite varied, so there is bound to be something suitable for you. I currently smoke a 3mg vape juice and probably only use it twice a day for around 5 mins a time. Sometimes I even forget that I have my vape on me and go all day without smoking it. So I personally think I’ll be able to give it up for good in the next couple of months. Keeping your mind and hands busy is a great way to ensure your usual instincts of going for a smoke break don’t kick in. Taking up an exercise class is a great way to keep yourself busy and also build upon your personal health. When I started rolling cigarettes I did find my hands getting a bit fidgety when I first gave up. And it doesn’t have to be exercise. It could be any hobby, as long as it doesn’t impact your health negatively. Getting into new “good” habits will help you give up your bad ones, like smoking. I actually found myself playing more games on my phone. I know it’s not really a hobby, but I found that it served as a good distraction. Remind yourself why you are quitting. Smoking can have so many negative impacts on your health and overall wellbeing. So constantly reminding yourself why you are quitting is a good way to keep up the motivation. For me, this was to stop struggling with my breathing. Climbing upstairs for example, was a struggle when I smoked. Now, however I don’t struggle at all and also don’t get as sick or cough as much. Why not set up some smaller milestones to act as mini goals before being completely independent from cigarettes. You could even set up rewards for yourself when you achieve the goals. It could be something like a treat for each month you manage to stay away from smoking. What do you recommend for anyone trying to quit smoking for good? Have any tips to share? Are you trying to quit too?